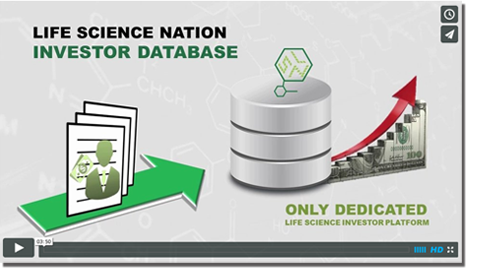 LSN Research keeps in regular ongoing dialogue with 900 active life science investors and tracks an additional 4000 global investors. Those conversations often bring to light new trends that are on the minds of investors as they identify their mandate priorities. Recently, we’ve heard several investors express an interest in companies that could potentially use their asset as part of a combination therapy. Combination therapies are currently a hot topic in biotech, although the approach has long been borne out in some disease areas, such as HIV HAART combinations and many cancer treatments. By using two drugs that interact favorably, one can affect a disease via multiple routes that may produce a powerful effect when combined. However, in the past these combinations have often been uncovered after a drug has been developed; by uncovering potential combination uses for an asset earlier in the development process, a biotech startup can increase the value of their asset. Investors are taking notice of this opportunity to add extra value to their portfolios. A broad range of investors have expressed interest in this trend, and many have been creative in their approaches to combination therapy investment. For a large pharma company looking to in-license new assets, the situation is relatively straightforward: they look for early stage therapeutics that they can combine with a drug from their own portfolio in order to make a more powerful therapy. This widens the market for their own assets, and in some cases may extend the patent life of an older drug by allowing the firm to register a new combined drug. If you’re a biotech entrepreneur looking for a major strategic partner, you may wish to consider this angle when pitching to pharma companies. Look at the firm’s portfolio and pipeline to see if there’s an asset that would fit into a combination alongside your own. If the potential is clear, a large pharma company may be interested in performing a trial to assess the strength of the combination; if successful, a combination approach could increase the value of a partnership for both sides. Outside of the pharma world, we have heard from investment funds that are highly interested in the combination potential of early stage biotechs. Combinations are particularly of interest to virtual pharma investment funds that focus on assets rather than on equity rounds. These investors may be interested in aggregating early stage assets in a particular indication area and exploring potential combinations within their portfolio. However, as combination uses add value to an asset, if you’re pitching to any investment fund it’s worth being aware of what else is in their portfolio and highlighting any combination opportunities that you see. LSN has also heard from philanthropic groups involved in this trend, particularly in the cancer space. One cancer foundation that we’ve spoken to uses a nondilutive approach to funding combination research; if an entrepreneur approaches the foundation regarding an asset that has combination potential, the foundation’s oncology experts will select another drug that may make a promising combination with the asset, and will then finance a trial to gauge the efficacy of the combination. Foundations may be very hands-on in this regard and typically favor assets that have already obtained human proof of concept data; by funding combinations of these derisked later stage assets, a foundation can have a near-term impact on patient care. Why is this varied group of investors converging on combination strategies? It’s a highly impactful approach, particularly in oncology, where a combination dose might target two different pathways to fight the same tumor. Initial tests to validate a combination may be relatively inexpensive, if the asset has already been validated alone. Whether the investor is motivated by impact, strategic needs, or return on investment, discovering a combination will help them realize value. If you can see combination potential in your asset, do your homework on the portfolio of each investor you meet with and work this strategy into your pitch.